God, thank you for fueling my dreams and creativity. You are a life-giver! I ask that you continue to fuel my desires and dreams. Breathe creativity into my days and nights. I’m also giving away 3 copies of Darlene Schacht’s Messy Beautiful Love. Enter to win here. Winners will be announced next Monday September 22nd. Only those in the U.S. are eligible to win. Thank you for this! I am a new blogger and I have found that I can find the inspiration to write an entire post from a phrase on a tv show or a snippet from a song, or from simply getting out and experiencing life, something that is outside my normal routine. Something I am dreaming of is writing my first book, or maybe my first two books. 🙂 I have two ideas rolling around in my head right now. Also, I want to visit Scotland and Ireland. Keep writing, friend!! 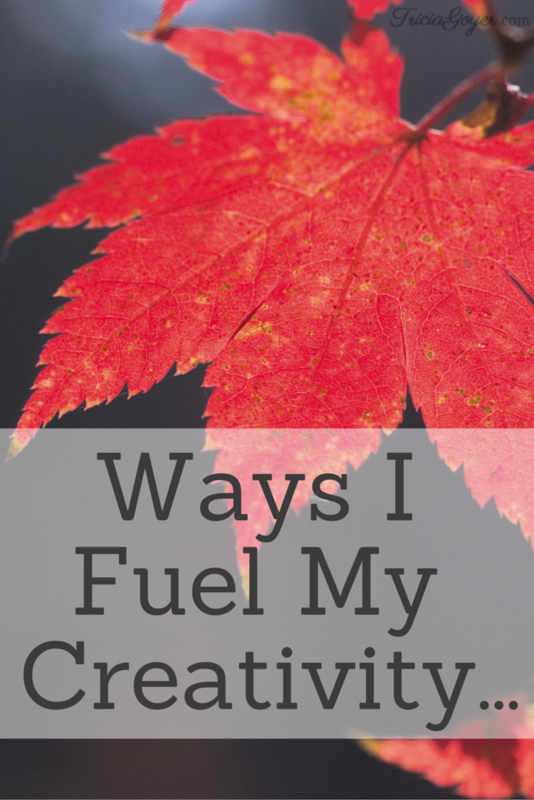 Keep fueling your creativity! We want to move to Haiti as missionaries. But we have to find a source of income that can be done online in order to do what we want. So I better keep writing and someday, hopefully start having novels published. I draw and paint to keep my creative juices going and to unwind. There is something about doing another form of art that helps keep me on track.